Posted October 16, 2014 by Heather Michet & filed under Health Tips. If you listen to the makers of cold medicines, we’re now in “the cold and flu season”. My advice is: don’t take the bait or accept that declaration as truth. Do increase your rest, water intake and ingest more warming foods like soups & stews, warming spices and hot herbal teas. Boost up that immune system. And…get a flu shot? 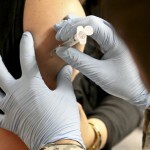 I’m being asked this question daily: Should I get the flu shot? My quick answer is ‘no’. My reasons are numerous and based on body science and personal & client experiences. A client’s dramatic story illustrates why I don’t recommend flu shots across the board: In his early 60’s, expressing robust health and having received no prior flu shots, my client was seeing the doctor for a checkup when the doc urged him to get the shot. Hesitant to get the vaccine because 1) he doesn’t get the flu; 2) he’d been fighting off a wee cold and his system wasn’t in prime “fighting” shape to fend off invaders; and 3) he doesn’t ‘do’ or like meds, in general. He relented and got the shot. Within a couple hours of receiving the injection, my client had a fever of 102 degrees, was shaking, overcome with chills and felt, well, flu-like. After suffering for 2 symptom-filled days and not being able to work a full schedule, he declared: I will never do that again! My client made the best choice for himself at the time; he didn’t do anything ‘wrong’ by getting the flu shot. It was ultimately a learning experience that provided more information about his body and strengthened his conviction to stay well. Trust yourself (i.e. intuition), your body and your experience with it. You are the first authority about your health: not a doctor or anyone else. You have years of experience of living in and knowing your body. You may get sick from the shot since you are being injected with at least 4, yes four, different strains of the influenza virus. 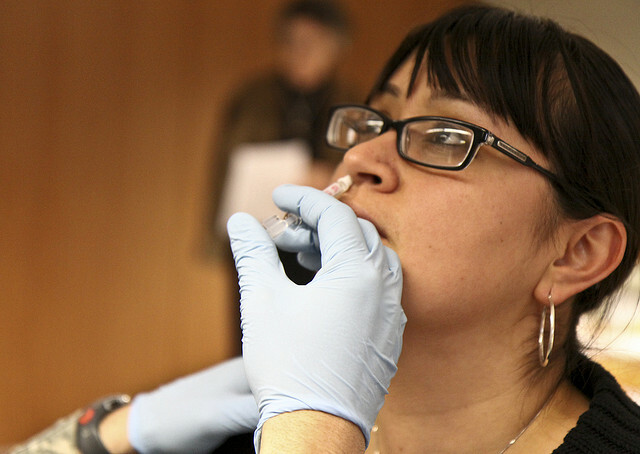 There’s no guarantee that receiving a flu shot will keep you from getting the flu. Certain flu strains are included in the vaccine but not all of them; it’s a predictive collection of the strains that the CDC (Center for Disease Control) believes may be present in the coming year. Don’t kick a good immune system when it’s down. If you’re feeling less than super, have a weakened immunity due to chemo or fragile health, avoid taxing the body with more ‘fighting tasks’ (like a flu shot!) and stress. Consult with several medical practitioners if you are pregnant or breastfeeding before obtaining any vaccine. A super-charged immune system is your best defense against the flu, other viruses, bacteria and any dis-ease. Your life practices and choices (exercise, sleep, eating well) either build-up or tear down your vibrant health. I will not be getting a flu shot this year; I haven’t in the past and am quite sure I never will in years to come. The body’s natural and preferred state is robust health. It’s not my job to tell you what to do or not do when it comes to your healthcare. It is my joy, however, to educate and inspire you with the tips, tools and techniques that will help launch you back into vibrant health and establish you as your healthcare champion. When you’re ready, let’s get started on this joyful journey together. I totally agree! Every time I did get a flu shot ( I was in the medical profession) I got sick with the flu for a week! Also in the 90s there was an article in a medical magazine that connected flu shots with Guillian Barre. This is a sudden onset of paralysis. We took care of people both old and young with it. The article stated that if you contract a flu virus after getting the flu shot (which many people do), your chances were quit high to contract Guillain-Barre. I never got another after that. Dear Mary – Thank you so much for reading the blog and commenting! I so appreciate you sharing your personal experience as well as that from your professional involvement. Wow, scary stuff indeed.